Popular electronics: What are people buying? The holiday shopping season has officially started in the US, with several outlets online and retail offering discounts of all kinds to lure consumers. Among some of our favorite stores that are offering Black Friday/Cyber Monday deals are Amazon, Target, Newegg, Dell, Apple and Best Buy. 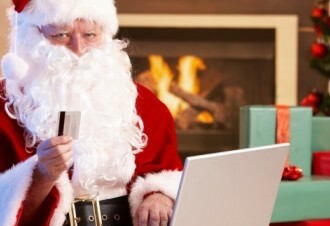 Also, if you are looking for tech gift recommendations, don't forget to check out TechSpot's own holiday buying guide. Another interesting fact is that Pricegrabber is observing increased shopping activity from mobile users. Personally, I like to research what I buy and often that means going back and forth between reviews, retailers and what not (not everything is sold at Amazon, unfortunately) and all that activity is most suited for browsing on my desktop or laptop. That said, Pricegrabber data indicates that 73% of shoppers are buying from their computers, 17% are using smartphones and 9% are on tablets. I can always assume, but it's better to hear it from you. Where do you do most of your shopping and from where (device)?